Theo is better now. She's eating again, dating guys who are almost appropriate, and well on her way to becoming an elite ballet dancer. But when her oldest friend, Donovan, returns home after spending four long years with his kidnapper, Theo starts reliving memories about his abduction--and his abductor. Donovan isn't talking about what happened, and even though Theo knows she didn't do anything wrong, telling the truth would put everything she's been living for at risk. But keeping quiet might be worse. Brandy Colbert dazzles in this heartbreaking yet hopeful debut novel about learning how to let go of even our most shameful secrets. Brandy Colbert was born and raised in Springfield, Missouri, and has worked as an editor for several national magazines. She lives and writes in Los Angeles. 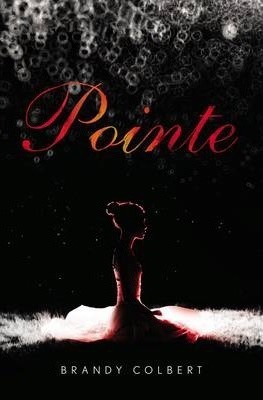 Pointe is her first novel.